Four students from the department of Geography used UCL ChangeMakers funding to organise an innovative academic conference where both staff and students of all levels presented their ideas. 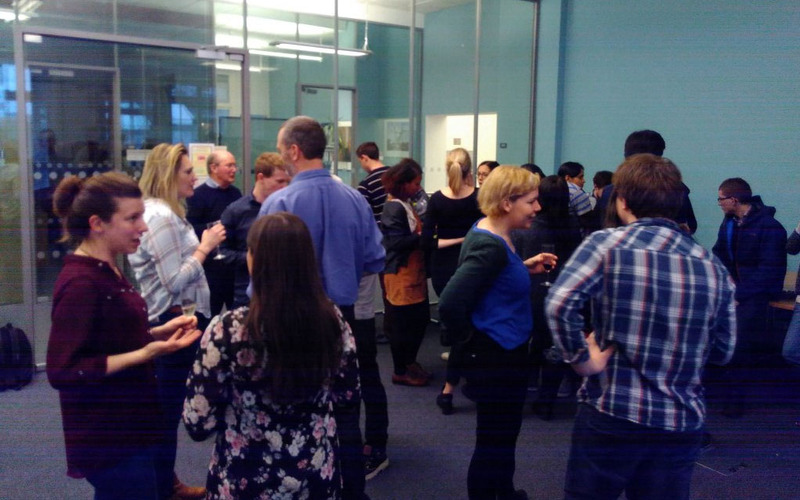 Over fifty delegates from across UCL Geography heard seventeen presentations, including seven entirely by students, and one student-staff collaboration, in the department’s first ‘Conversations in Geography’ conference which took place on 9 March 2016. The conference was organised by PhD students Anna Plyushteva and Joseph Thorogood, and two undergraduate students, Fumika Azuma and Charlotte Collins. The UCL Changemakers funding enabled the team to provide catering, and give small ‘thank you’ vouchers to all student and staff presenters. UCL Changemakers staff also supported Fumika, Charlotte, Anna and Joe in organising the venue and promoting the conference. The four panels which made up the one-day conference were organised around broad themes, and brought together students and staff, research teams and individual projects, physical and human geographers. At lunchtime, conference came together to hear a keynote address by Professor Anson Mackay (physical geography) and Dr Tatiana Thieme (human geography), who co-presented on the topic of ‘Environmental Geographies,’ highlighting the many continuities and complementarities across geographic sub-disciplines. The conference was also attended by representatives from the Royal Geographical Society, UCL Careers and the Bloomsbury Geographer, UCL Geography’s online student-led journal. Find out how to make the most of your time at UCL at the ‘Shape your education’ UCL information fair. Participate in project teams, volunteer, become a student representative, sign up for global citizenship. Friday 27 January, 1-5pm, South Cloisters. Make a difference. Build new skills. Get involved. Sign up to the Student Experience Panel to get involved in giving regular feedback and receive information on opportunities. Find out more and subscribe.